Christmas is the most wonderful time of the year because it’s an opportunity to share blessings and spread some warm cheer. If you’re the type though who does last-minute shopping, it’s time to get a move on because Christmas is fast approaching! 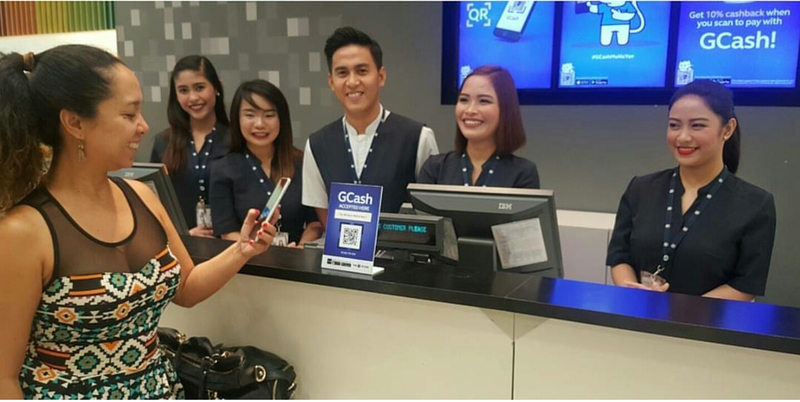 GCash dominated the Philippine retail e-payment landscape in 2017 with over 4,000 QRs deployed nationwide, a testament to the growing number of merchants who believe in the capability of GCash to usher in cashless payments in the country. 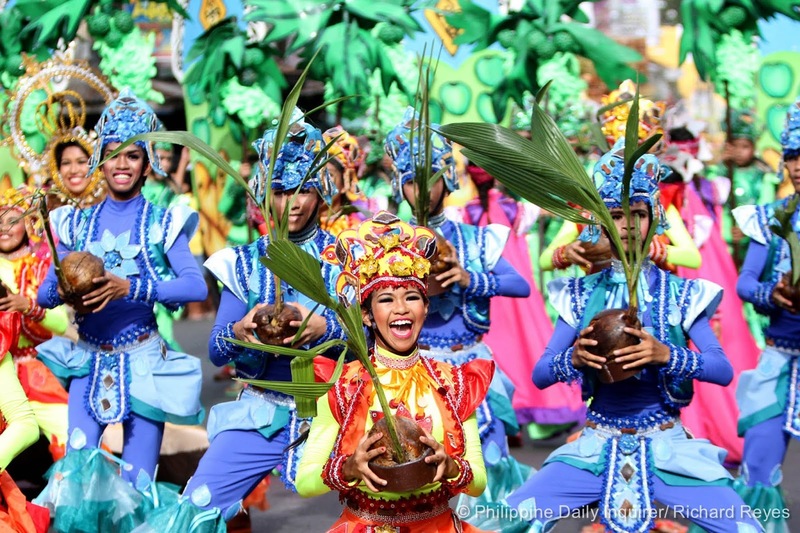 Filipinos take pride in having the world’s longest, fun-filled and most colorful observance of the Christmas season, which is said to commence with the "ber" months and peaks during the Simbang Gabi. 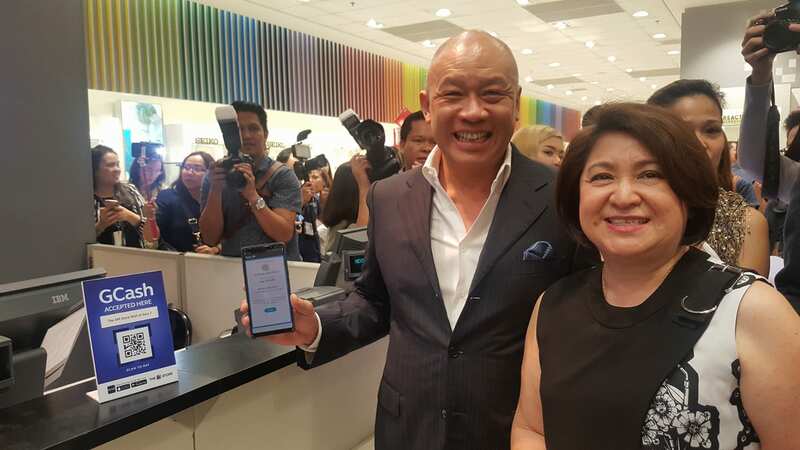 Globe's President and Chief Executive Officer Ernest Cu, with The SM Store President Chelsea Monasterio during the walk-through of the GCash Scan To Pay launch on December 1, 2017 at The SM Store, Mall of Asia in Pasay City. The SM Store is the latest addition in a growing list of merchants which have embraced the GCash App scan to pay feature. This development makes it more convenient for customers to do their shopping, especially this holiday season. It's safe and convenient, as shoppers can easily pay without the need to bring cash. 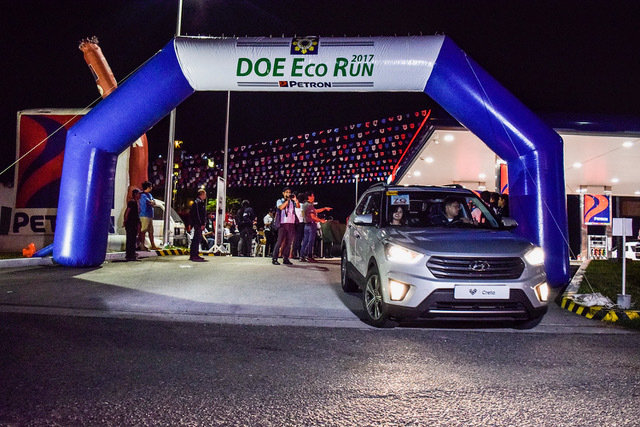 Based on the outstanding results obtained from the fuel efficiency bench-marking run last year, the Department of Energy (DOE) once again tapped oil industry leader Petron Corporation to be the official fuel of the DOE Eco Run 2017. 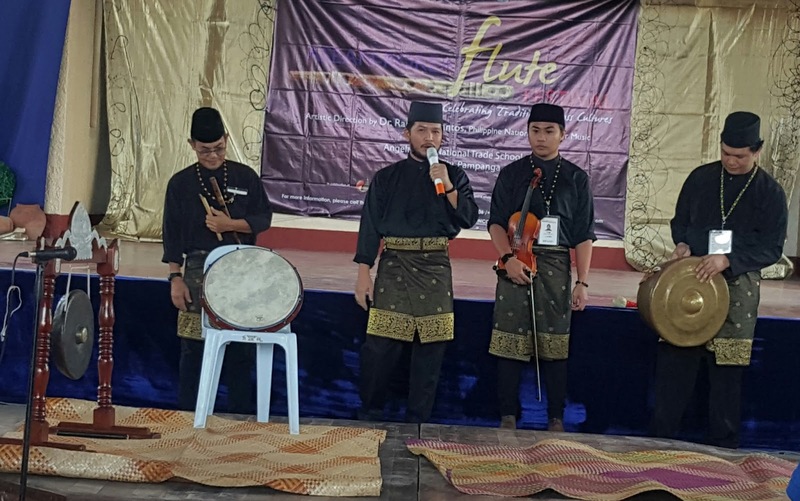 The National Commission for Culture and the Arts (NCCA) and Seoul Music Group teams up for the first-ever ASEAN-KOREA Flute Festival, pushing to promote cultural exchange and regional talent showcase of the ASEAN Member States and Republic of Korea. Though predominantly a Catholic country, the Philippines is open to other forms of beliefs and practices. Some of these are embedded in the Filipino psyche, which sometimes create a new outlook on living our everyday life. 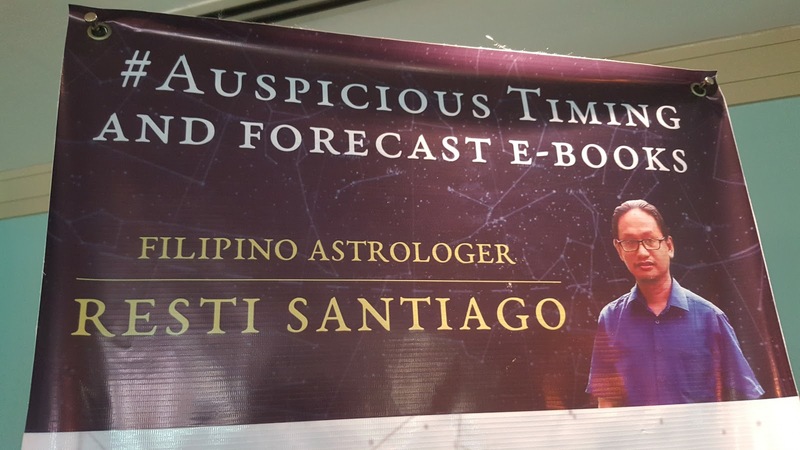 Astrology is one of them. 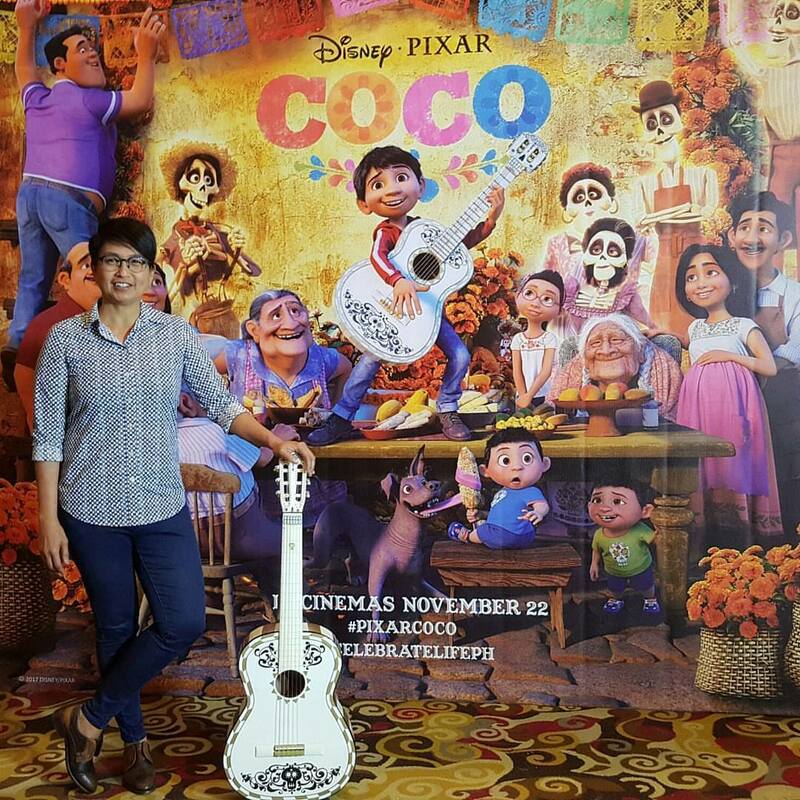 Gini Santos, Head Supervising Animator of Pixar recently visited the Philippines to personally have a hand in promoting Disney's and Pixar's latest movie, Coco. Mazda Japan-trained Jinba Ittai instructors are at hand during the free test-drive from November 22 - 226, 2017 at Bonifacio Global City. 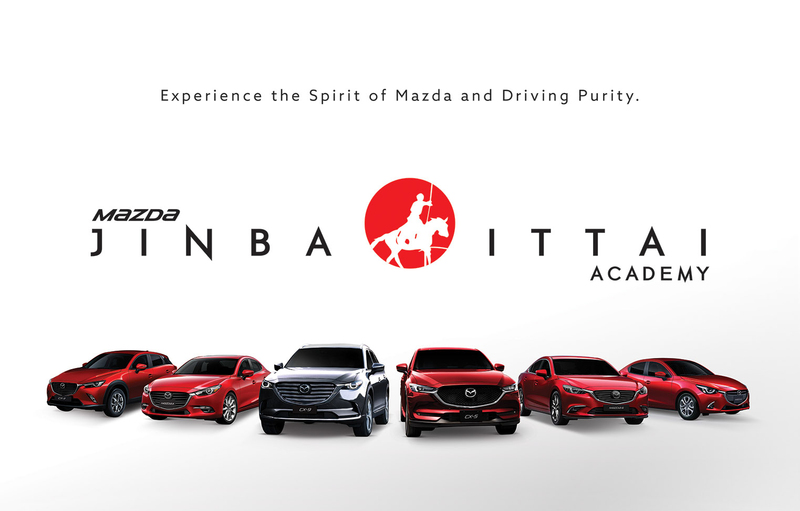 Mazda’s trademark vehicle design and engineering philosophy that literally translates to horse-and-rider-as-one, is set to be the highlight of the first ever Jinba Ittai Academy public test drive activity happening this November 23 to 26, 2017 at the corner of 38th Street and 9th Avenue, near Uptown Mall at the Bonifacio Global City in Taguig. The “spirits” of the season are brought to life once again as Globe LIVE and 9Works Theatricals brings Menken & Ahrenn’s A Christmas Carol back on stage for this holiday season. 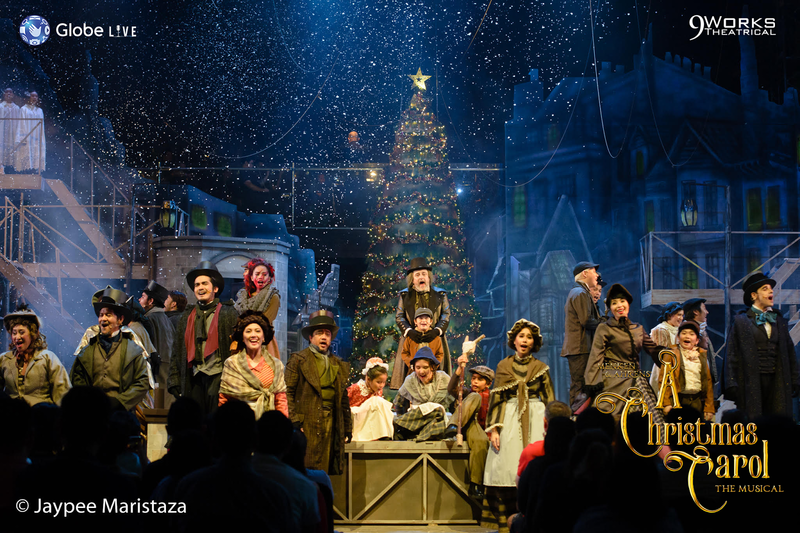 After its successful 2016 run, the whole family can once again create new traditions by reliving the Charles Dickens classic through impeccable production and classic music. 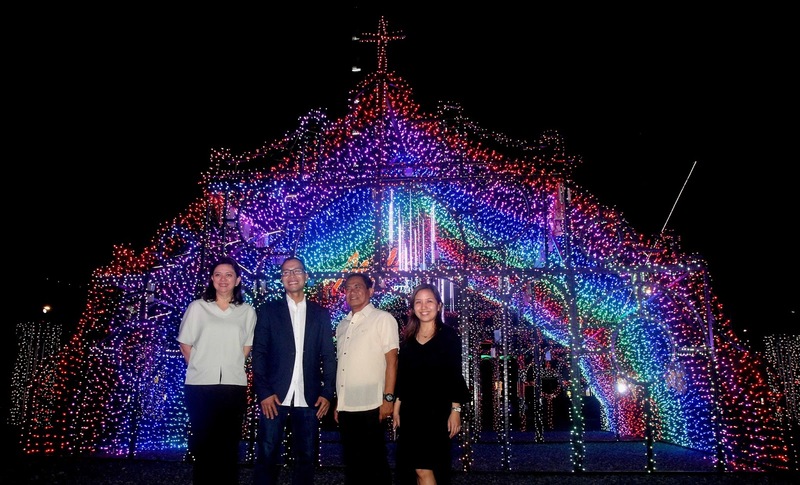 Lighting up the first-ever Vertis Northern Lights were from left, Maan Paraz, General Manager of Ayala Malls Vertis North and Trinoma; Jay Teodoro, Estate Head for Vertis North; Rudy Palma, Brgy. Captain of Brgy. 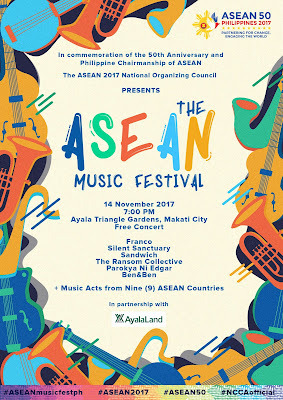 Bagong Pag-asa; Cathy Bengzon, Head of Corporate Brand, Ayala Land Inc.
Filipinos living in the northern part of Metro Manila is about to witness a magnificent Christmas spectacle as Ayala Land Inc., in the spirit of gratitude, brings its highly acclaimed lights and sounds show to Quezon City this year. 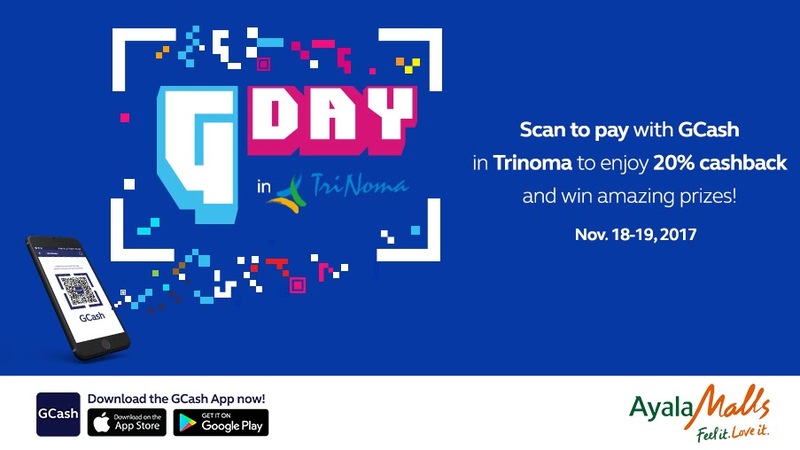 GCash, the Philippine mobile money wallet provider, offers an early Christmas treat of up to P500 cashback to its loyal customers who will use the GCash App to pay for their purchases on #GDay at Trinoma Greenlight Sale from November 18 to 19, 2017. Get ready for an exciting showcase of music diversity and regional excellence as the 2017 ASEAN National Organizing Council sets the stage for the ASEAN Music Festival 2017. Perfect timing. 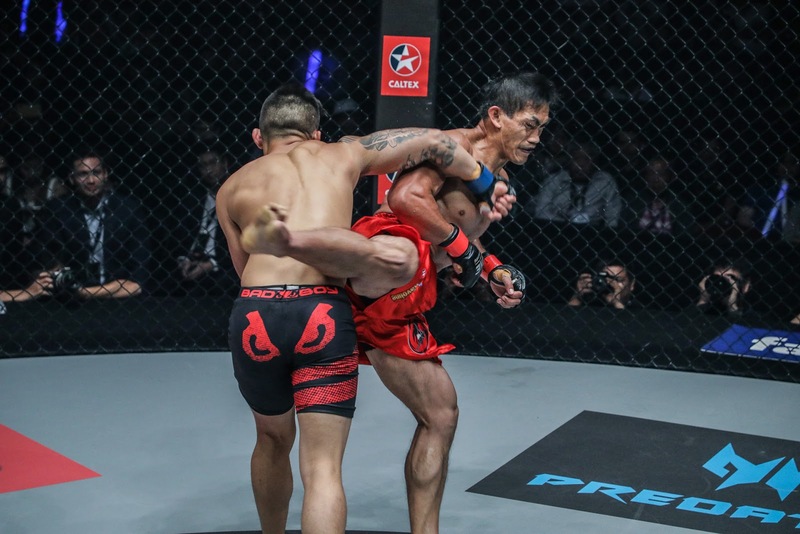 Nguyen's famous overhand right connects, knocking the lights out of Folayang. The largest sports media property in Asian history, ONE Championship™ (ONE), had another memorable and historic evening in Manila as the capacity crowd at the Mall of Asia Arena witnessed an amazing display of heart-pounding martial arts action. Watch FB LIVE here. 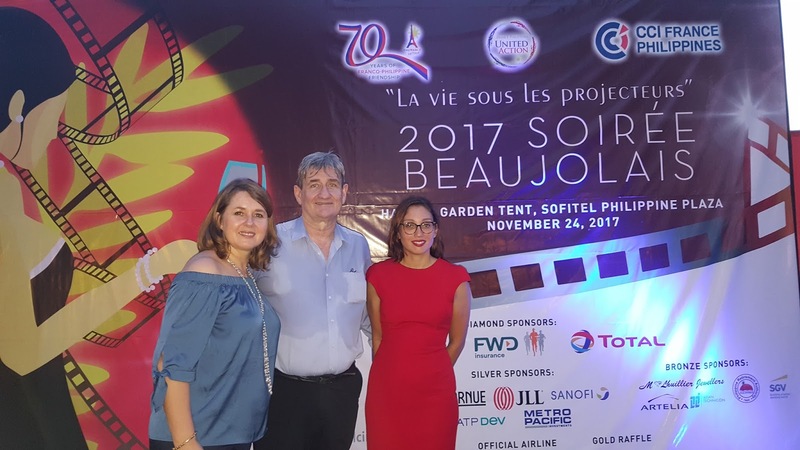 Officers of the French Chamber of Commerce and Industry in the Philippines (CCI France Philippines) announces its 27th year of celebrating Soirée Beaujolais in Manila. From left, Isabelle Nilo President, Bernard Flour Vice President, and Vanessa Hans Managing Director of CCI France Philippines. Every third Thursday of November, a grand tradition is celebrated simultaneously around the world; the welcoming of a French wine harvest... the Beaujolais Nouveau. 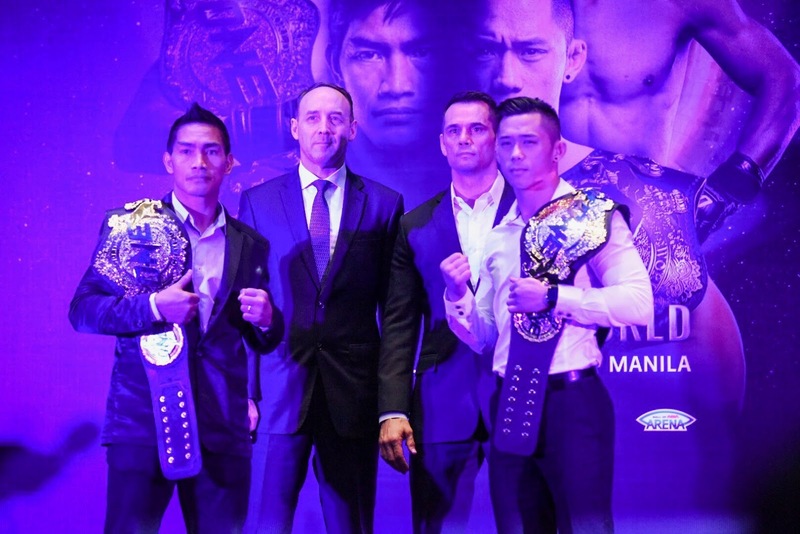 On stage at the ONE: LEGENDS OF THE WORLD Official Kick-Off Press Conference held on November 7, 2017 at the Grand Ballroom of City of Dreams, Manila were from left, Eduard Folayang, Geoff Andres Property President of City of Dreams Manila, Rich Franklin Vice-President of ONE Championship, and Martin Nguyen. As athletes, we tend to befriend our foes. It is a fact that Filipinos are naturally friendly, and it is easy for us to warm up with our opponents outside the battle zone, whether it be a playing court, a pitch, ring, or a cage. It is inevitable that top athletes, specially champions, will end up facing each other. Winners of Miss Earth 2017, from left, Miss Earth Air is Miss Australia Nina Robertson, Miss Earth Fire is Miss Russia Lada Amikova, Miss Earth 2017 title holder is Miss Philippines Karen Ibasco, and Miss Earth Water is Miss Colombia Juliana Franco. Photo by: Monch "Monchster" Henares. The grand coronation night of Miss Earth 2107 was a spectacular show of great staging with mesmerizing beauties parading not only their physical beauties, but their confidence and wit as well. Discover the country’s rich marine ecosystem as the Philippine Department of Tourism (PDOT) spear-headed by the Office of Product and Market Development - Dive Group, hold the 5th Anilao Underwater (UW) Photo Competition Festival in Anilao, Mabini, Batangas on November 28 up to December 2, 2017. Miss Earth 2017 Best in Costume - Asia and Oceana, from left, Bronze - Miss Japan Yasuyo Saito, Gold - Miss Philippines Karen Ibasco wearing a Louis Pangilinan creation, Silver - Miss Thailand Paweensuda Drouin, during the National Costume Competition on October 30, 2017 at the Century Park Hotel in Manila. 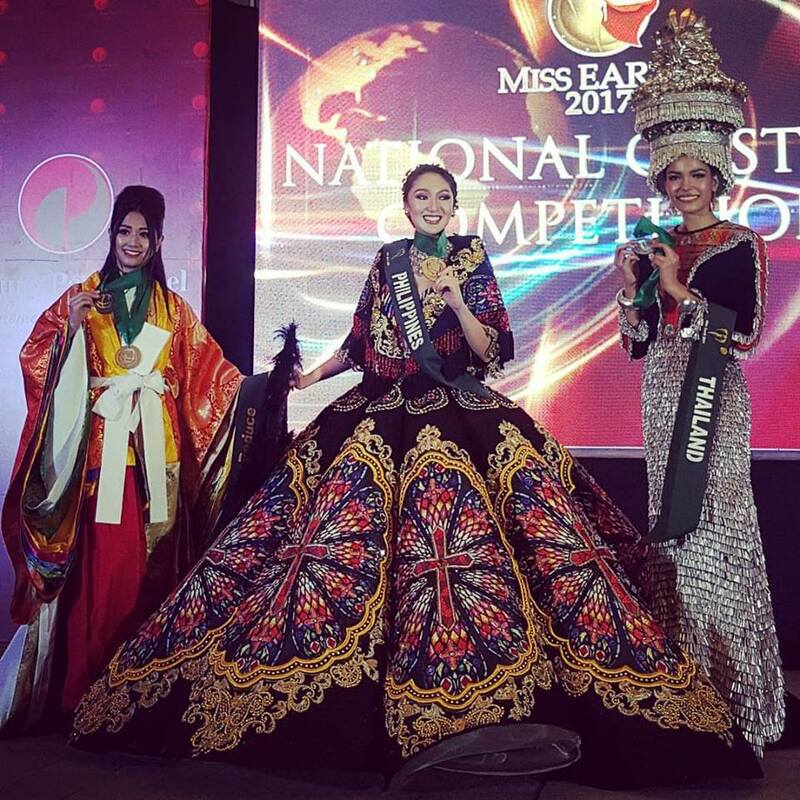 October 30, 2017 is a lucky day for Miss Earth Philippines 2017, Karen Ibasco, who clinched two coveted awards at the Miss Earth 2017 Preliminaries, winning gold in both Darling of the Press and Best in National Costume - Asia and Oceana wearing a Louis Pangilinan creation. Coming in close second winning silver for the same categories is Miss Thailand, Paweensuda Drouin. Fantasmagorical! Yes, that is a word. 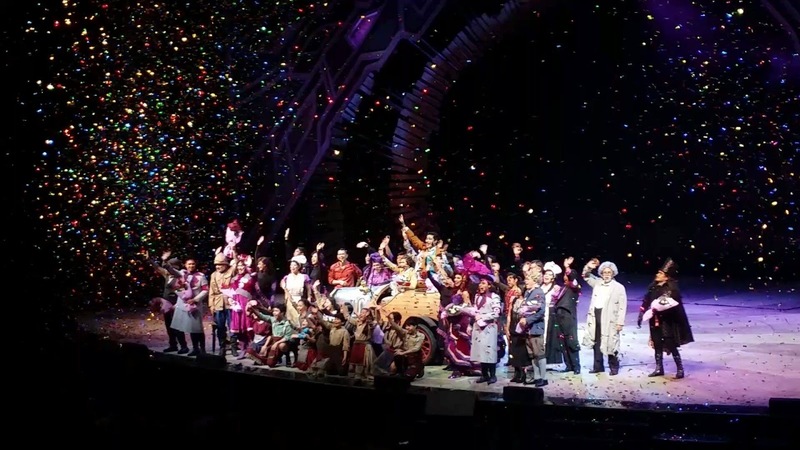 An apt description of Chitty Chitty Bang Bang, now fabulously gracing the stage of Newport Performing Arts Theater at Resorts World Manila (RWM). 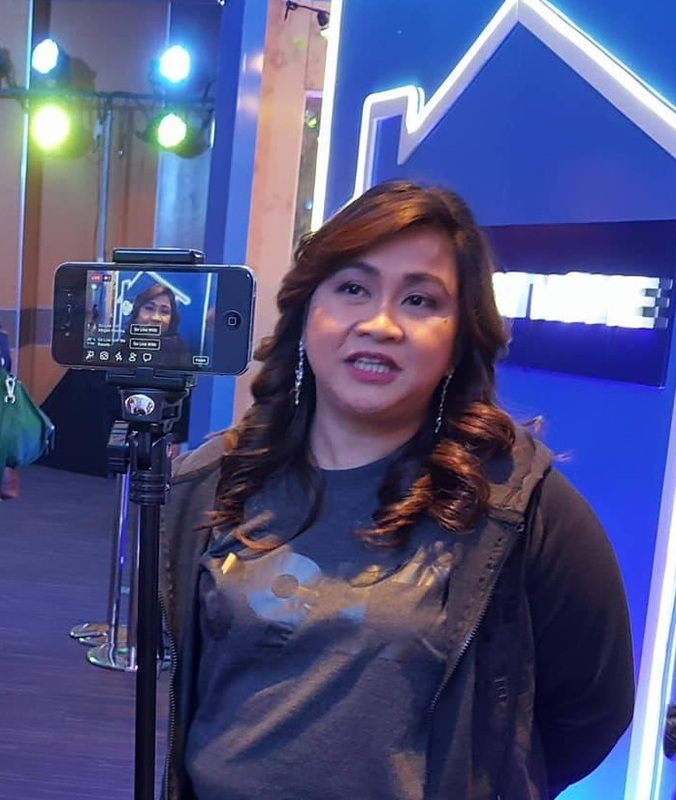 Martha Sazon, Senior Vice President of Globe At Home being interviewd by Monchster Chronicles at the recent unveiling of the Globe Prepaid Home Wifi. 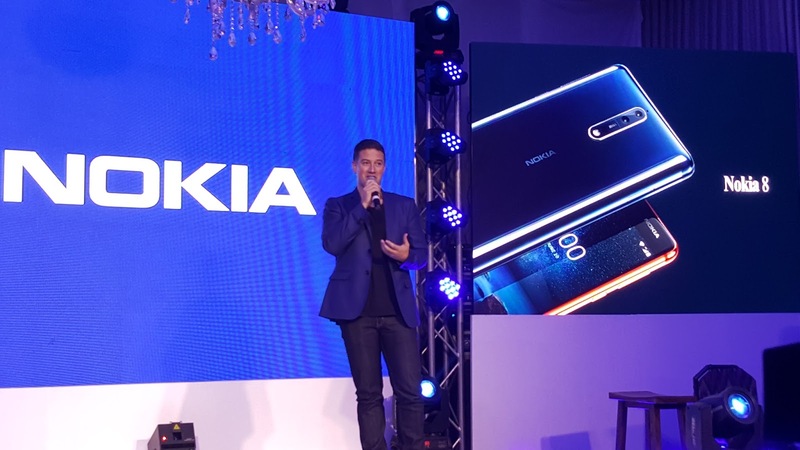 The launch of the Globe Prepaid Home WIFI earlier this year gave Filipinos a more affordable option to get an internet connection. Easy to install and with 50% stronger WIFI coverage versus myfi, it has become a great alternative to those who don’t want to commit to a fixed monthly rate so they can better control their budget. 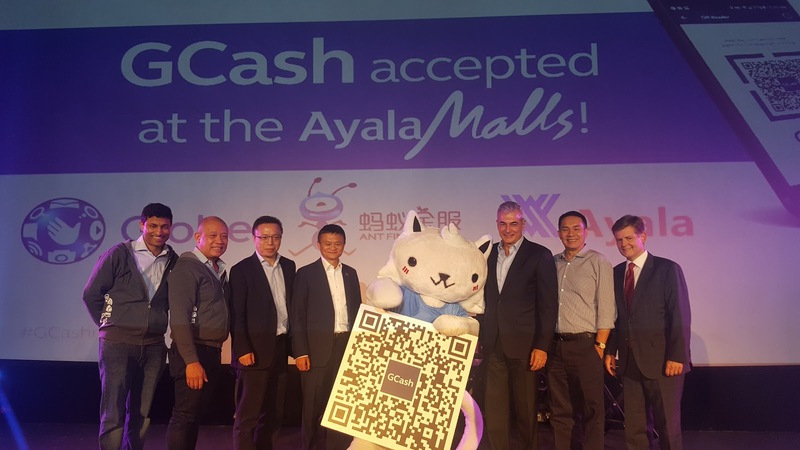 On stage at the GCash Mobile App Scan To Pay launch held on October 25, 2017 at the Glorietta, Ayala Mall in Makati, were (l-r) Alibaba Founder and Executive Chairman Jack Ma (center, left) joins GCat, the GCash Mascot as it shows a sample of the QR code that is set to change the landscape of payments in the country. Together with him are (from L-R): Mynt President and CEO Anthony Thomas, Globe President and CEO Ernest Cu, Ant Financial Services Group CEO Eric Jing, Ayala Corporation President and COO Fernando Zobel de Ayala, Ayala Land President and CEO Bobby Dy, and Ant Financial SVP and Head of International Operations Douglas Feagin. Globe Telecom, in partnership with Ant Financial and Ayala Corporation, recently re-launched GCash, with its new scan to pay feature of the GCash Mobile App, which aims to speed up the country’s digitization, and make the lives of Filipinos easier. This partnership is a trailblazer in making more people live in a cashless society, and enjoy a game-changing lifestyle. 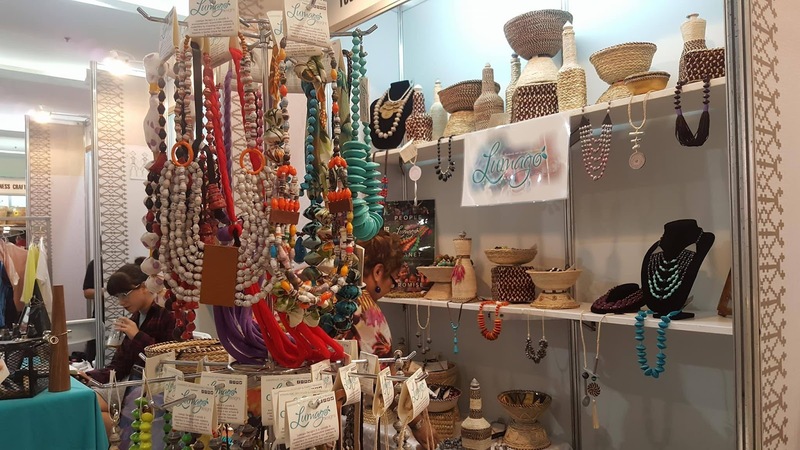 Filipino artisans come together at Sikat Pinoy, one of the biggest arts and crafts fairs in the Philippines. The Department of Trade and Industry (DTI), in partnership with the Bureau of Domestic Trade Promotion (BDTP) opened its doors to the Sikat Pinoy National Arts & Crafts Fair with the aim to provide marketing assistance to Micro, Small, Medium Enterprises (MSME's) engaged in the creative industries all over the Philippines. Miss Earth 2017 Swimsuit Competition Winners Group 1, (l-r) Bronze - Miss Ecuador Lesie Giler Sanchez, Gold - Miss Australia Nina Robertson, and Silver - Miss Venezuela Ninoska Vasquez. All Images by: Monch Henares. 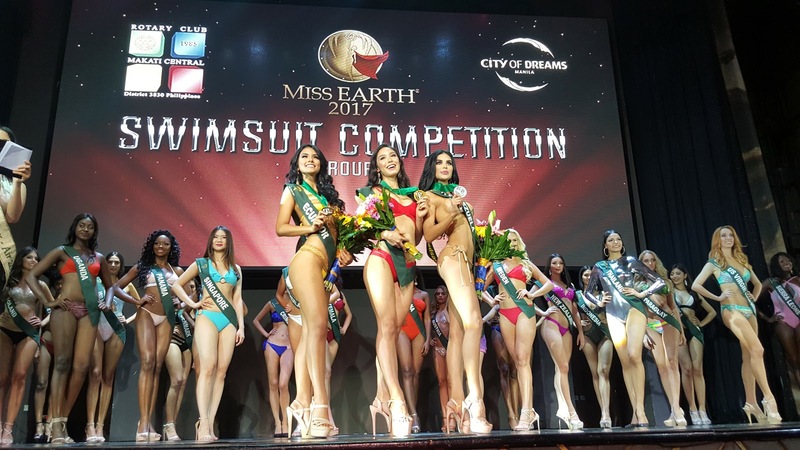 A bevy of international beauties romped off in their favorite swimsuits during the Miss Earth 2017 Swimsuit Competition Group 1, held on October 21, 2017 at The City of Dreams in Pasay City. 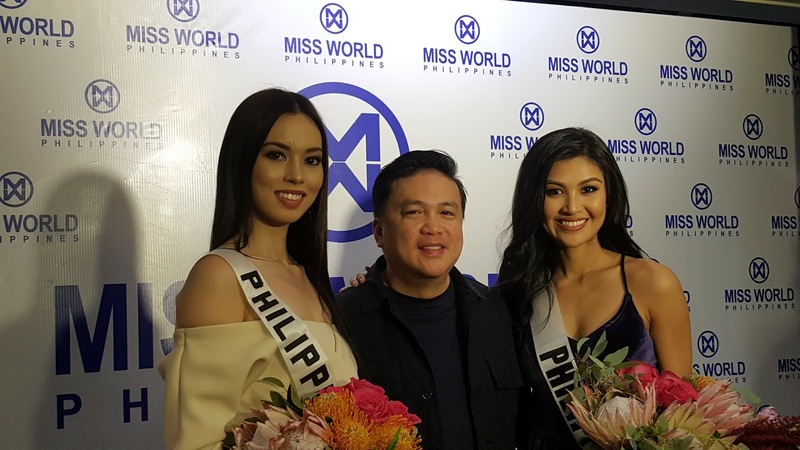 Miss World Philippines National Director Arnold Vegafria, flanked by Miss World Philippines Laura Lehmann, and Miss Reina Hispanicoamaricana Filipina Teresita "Winwyn" Marquez at the send-off ceremony held on October 18, 2017 at Annabel's Restarant in Quezon City. November is the month of international beauty pageants, and two of the Philippines' reigning beauty queens are setting their sights on bringing home global crowns. Filipino Eduard "Landslide" Folayang, and Australian Martin "The Situ-Asian" Nguyen during the ONE Championship Skyline Face-Off on October 10, 2017 at the City Garden Grand Hotel in Makati City. There are two champions, but there could only be ONE Legend of the World. 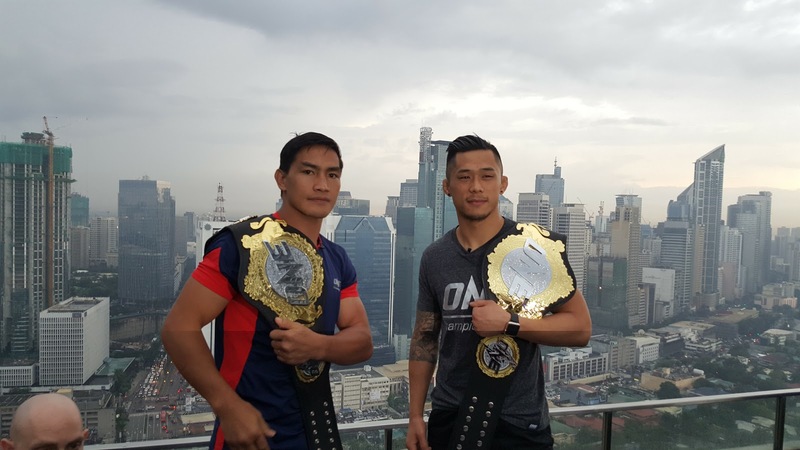 Manila is now in heat after the skyline face-off between Eduard "Landslide" Folayang and Martin "The Situ-Asian" Nguyen, who were presented to the media on October 10, 2017, at the City Garden Grand Hotel in Makati City, Philippines. The journey to the much-awaited fight between the two champions has now officially begun. 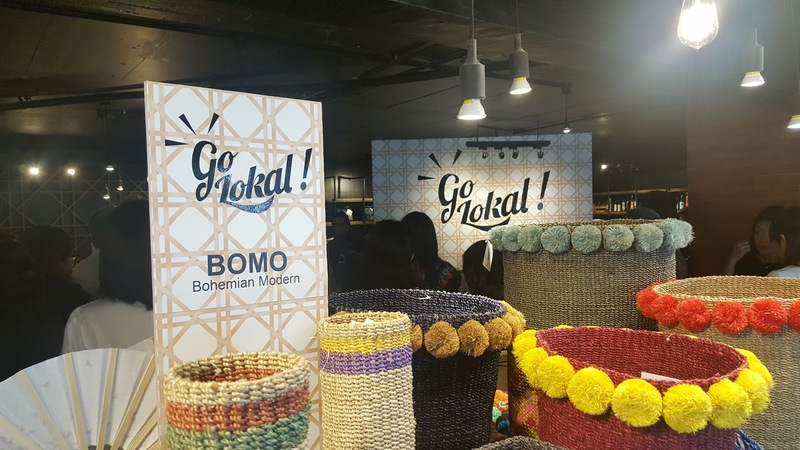 The Philippines' Department of Trade and Industry (DTI) recently launched Go Lokal! Concept Store at the DTI Building in Makati City, gathering over 200 Micro, Small and Medium Enterprises (MSMEs) showcasing the best, and latest local products manufactured in the Philippines. Husband and wife team, JC Intal and Bianca Gonzalez-Intal at the Juan Wash Event held on September 29, 2017 at the Metrotent, Pasig City. Gone are the days of double-standard thinking when it comes to sharing household duties. In the Philippines, doing the laundry is traditionally seen as a woman’s sole responsibility. Thanks to the shift in people’s mindsets, aided by Ariel’s progressive #JuanWash campaign, that medieval thinking is about to be a thing of the past. The AFFI officers during the press conference held on September 19, 2017 at The City Club, Makati City. From L to R: Mr. Ricardo Cuna, AFFI Board of Adviser; Ms. Tess Ngan Tian, AFFI Board of Adviser; Mr. John Chung, President ; Mr. Sonny Francisco, Chairman of the Board; Ms. Anne Francisco, AFFI Assistant to the Expo Chairman. Image by: Monch "Monchster" Henares. 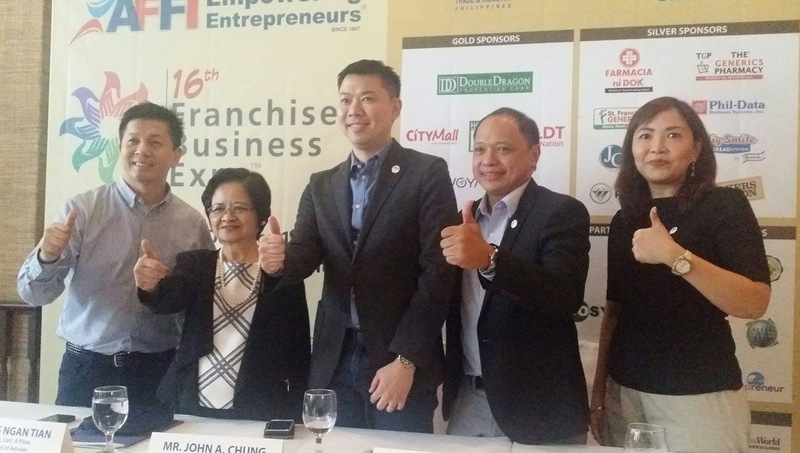 The Association of the Filipino Franchisers, Inc. (AFFI) announced today the much-awaited Franchise and Business Expo to be held on September 29 to October 1, 2017 at the World Trade Center in Pasay City. Wide variety of food at Mercato Centrale in Bonifacio Global City. Cashless? Have no fear if your mobile phone is near. The future of paying through Globe's GCash is here. 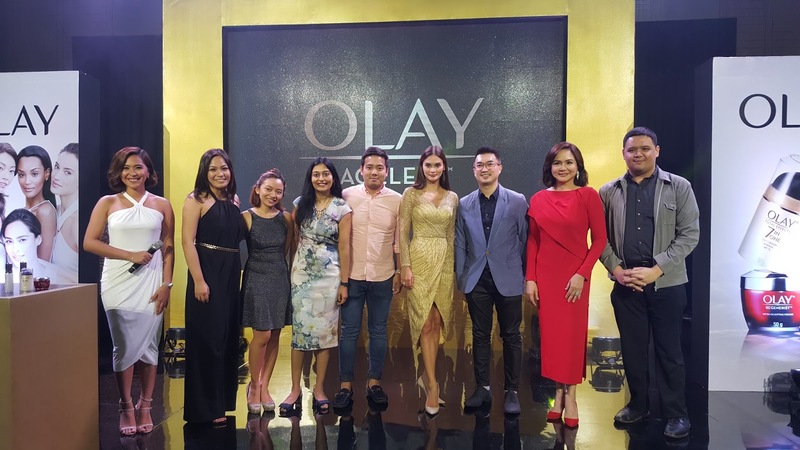 Ms. Universe Pia Wurtzback and Charo Santos-Cancio with Olay Philippines Team led by Brand Manager Chandana Sunder, and Prinicipal Science Expert David Khoo during the launch of Olay's new line held at Shangrila The Fort on September 12, 2017. It was an exciting day to witness the launch of Olay’s newly re-engineered formulas at the Shangrila Hotel in Bonifacio Global City. Monchster's live interview of Olay's Brand Manager Chandana Sunder and Olay's Principal Science Expert David Khoo. 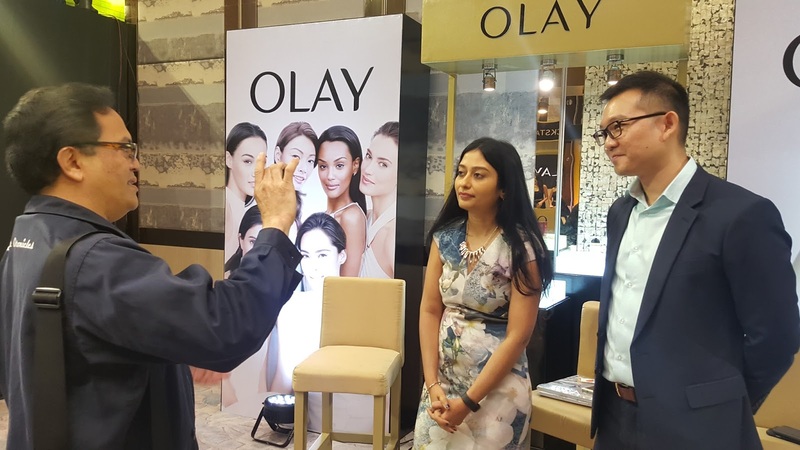 Present during the unveiling of this ageless beauty product were Olay's Principal Science Expert David Khoo, and Chandana Sunder, Olay's Brand Manager. MISS WORLD PHILS. 2017 AIRS ON GMA NETWORK PRIMETIME TONIGHT! 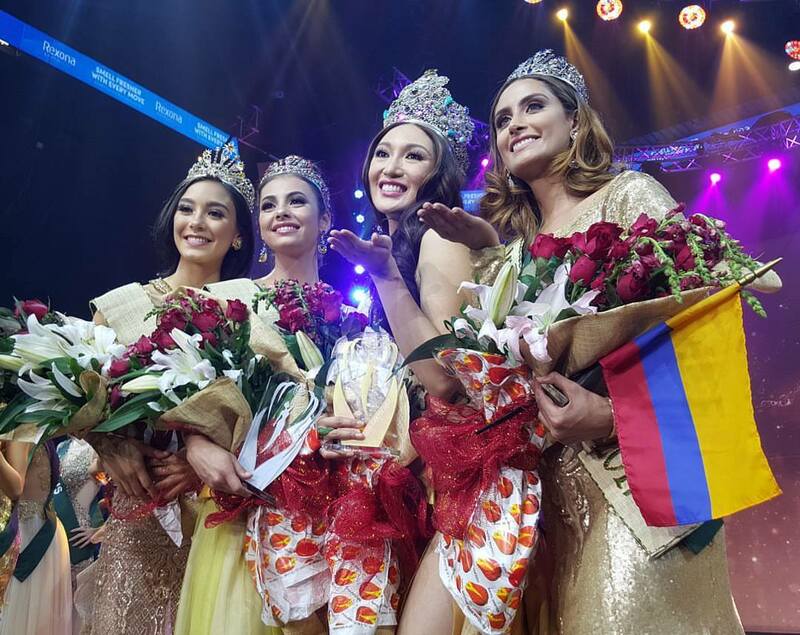 Who will win this year's Miss World Philippines crown? Amid the wave of societal and institutional distrust observed across the globe, Filipinos run against the tide as their trust and confidence in the country’s key institutions increased, particularly the government. This is according to the fifth Philippine Trust Index (PTI), a nationwide survey that looks into Filipinos’ levels and drivers of trust in six key Philippine institutions – government, academe, businesses, NGOs, church and media. August 29,2017. It's consistently been Globe Telecom's commitment to develop the country's telecommunications infrastructure to be world-class. Realizing the power of Information and Communications Technology (ICT) in providing meaningful 21st century learning, Globe Telecom brings its Global Filipino School (GFS) program to Quezon City via Masambong High School (MHS). Guest speakers at the turn-over event at Masambong High School were QC Mayor Herbert Bautista and Congressman Vicente "BingBong" Crisologo. “Good food, reasonable prices, and quality service,” these are what make up a successful restaurant according to Choi Garden Manila President Benito Gaw as his team opened up at new five-star Hotel Winford Hotel and Casino (WHC) last August 18, 2017. Being the newest Choi Garden restaurant after branches in Greenhills and Makati, the WHC outlet will be the biggest. Catering mostly to families looking to celebrate, Choi Garden Manila has a seating capacity of 300 on the second floor with eight private rooms, a presidential room with lavatory, as well as a ballroom on the fourth floor which can seat up to 700 guests in a Chinese Lauriat-style setting. 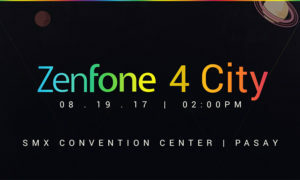 Manila, Philippines (August 19, 2017) – After months of being near tight-lipped, ASUS Philippines finally unveiled the long-awaited Zenfone 4 series into the local scene – in the most unique and vibrant manner yet: the rising of its very own city at SMX Convention Center, Pasay, dubbed the Zenfone 4 City. 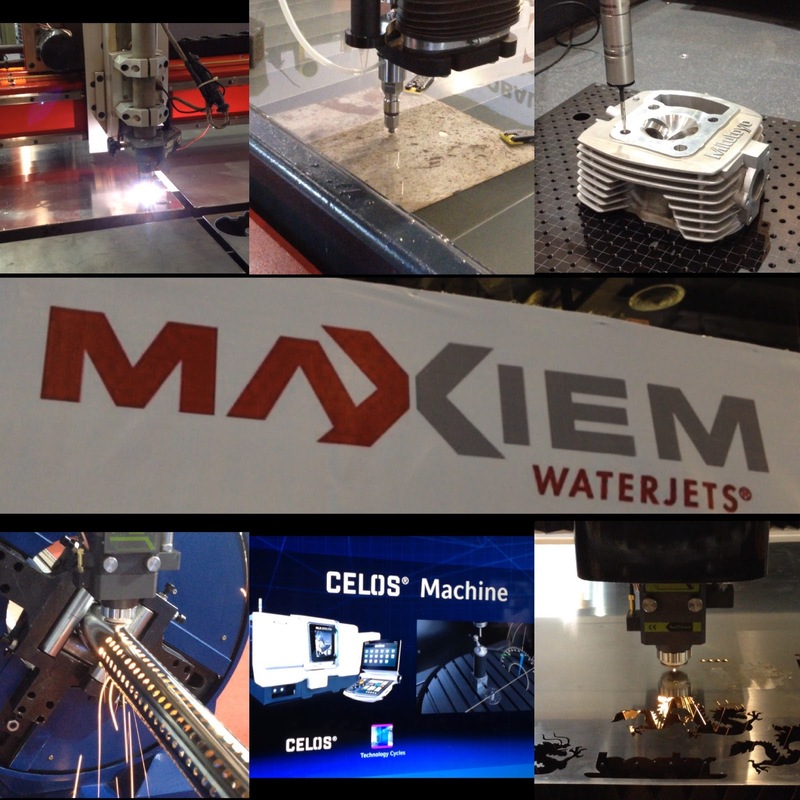 August 23, 2017, The 8th Philippine Die & Mould Machineries and Equipment Exhibition (PDMEX 2017) opened at the World Trade Center in Pasay City with simple ceremonies led by Bgen. Charito B. Plaza MNSA, Phd Director General of the Philippine Economic Zone Authority (PEZA) and Mr. Robert O. Dizon, Executive Director of the Department of Science and Technology-Metals Industry Research and Development Center (DOST-MIRDC). 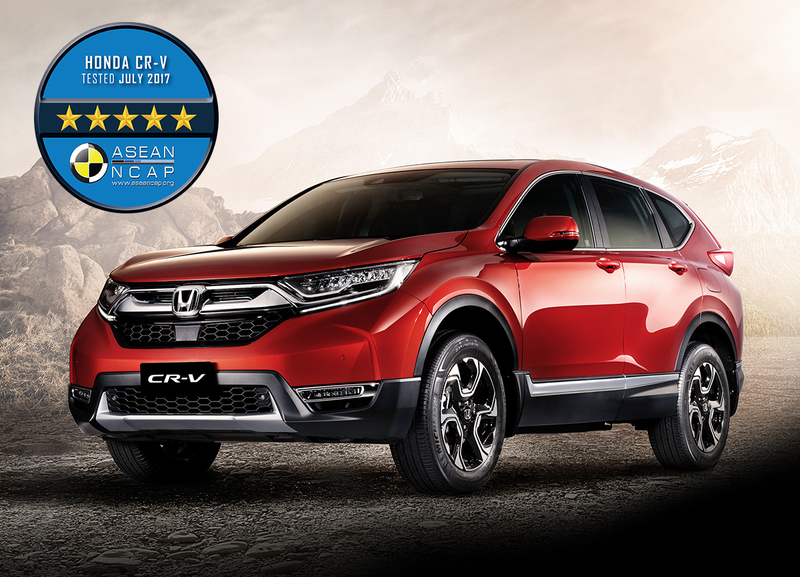 Honda Cars Philippines, Inc. (HCPI), Honda’s automobile business unit in the Philippines, is proud to announce that the recently launched All-New CR-V (August 8, 2017) has been awarded a 5-star safety rating by the ASEAN New Car Assessment Program for Southeast Asia (NCAP). The All-New CR-V is the first model of Honda to be awarded by a 5-star safety rating under the new ASEAN NCAP Assessment 2017-2020 Protocol. The new assessment protocol urges carmakers to give the best safety practices in the region and has been in effect since January 1, 2017. The remarkable results show Honda’s commitment in ensuring safety for everyone sharing the road. When a swarm of earthquakes hit Batangas in April 2017, it caused injuries to some residents and damage to some buildings. Students of Batangas State University (BatSU), however, were able to teach their families to assume the duck, cover and hold position while the tremors were ongoing, and later led them to safe locations after the shaking stopped. August 11, Manila - Globe Telecom commercially launched today the $250-million Southeast Asia-United States (SEA-US) submarine cable system which provides direct links between Davao and the United States for richer and enhanced international connectivity for businesses in Mindanao and the rest of the country. Last Aug. 8, 2017, Honda Cars Philippines, Inc. (HCPI), Honda’s automobile business unit in the Philippines, unveils the much-anticipated All-New CR-V, the first ever diesel model in Honda’s local lineup. 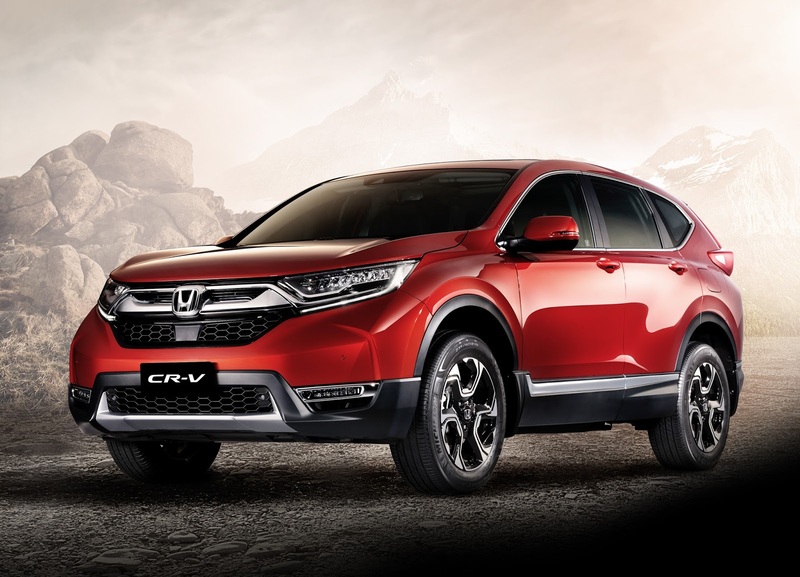 As the growing demand of the Filipino market of an all-around comfortable SUV, the fifth generation All-New CR-V is designed with a new and efficient diesel engine complemented by a bold and sophisticated exterior styling that matches its premium and comfortable interior. All of these improvements of the All-New CR-V aim to provide our consumers exceptional driving performance and ride quality. 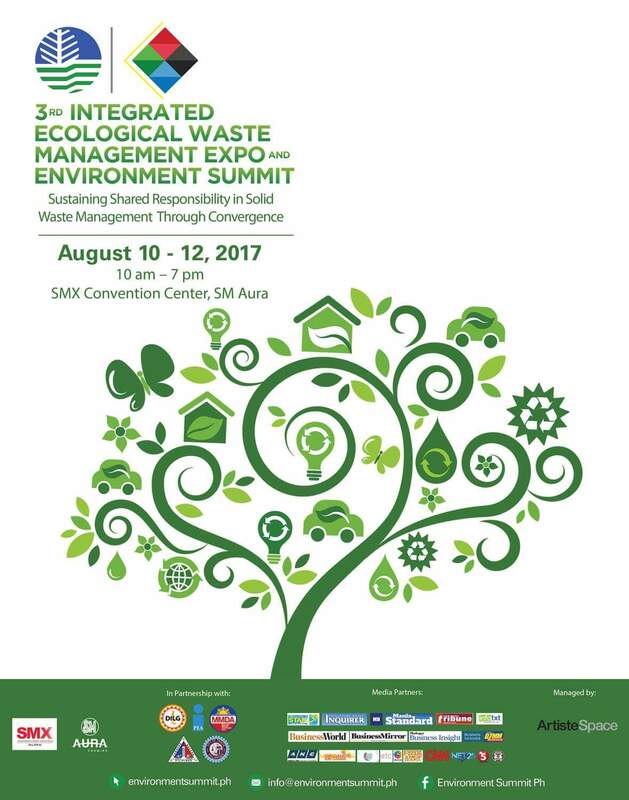 The public is invited to attend the 3rd Integrated Waste Management Expo and Environment Summit is happening on August 10-12, 2017 at SMX Aura, Taguig City. An initiative of the DENR - Environmental Management Bureau (EMB), the Expo aims to raise the bar of environmental awareness of consumers and beef up efforts in solving the rising problem of solid waste in Metro Manila and other urban areas in provinces across the country. Thirty-Five Beautiful Ladies make the list to one of the most coveted pageants in the country, the Miss World Philippines 2017. The fifth edition of the US$1 million Resorts World Manila Masters will return to Manila Southwoods Golf and Country Club from November 9 to 12, 2017 with a charity initiative to support families affected by an unfortunate incident that occurred in Resorts World Manila (RWM) last June 2. OPPO Philippines gives its full support to the much anticipated big-screen comeback of Sarah Geronimo, who stars in this year’s biggest romantic-comedy, "Finally Found Someone". Pinoy fans are in for a roller-coaster-ride of emotions as Raffy (John Lloyd Cruz) and April (Sarah Geronimo) take us through their intertwining polar-opposite lives – living through a PR crisis with a cutthroat, career-driven over achiever, while the other end of the spectrum is an honest, sincere, and idealistic girl, who believes in the powers of the heart. Manila, July 25, 2017: Tata Motors, India’s largest commercial vehicle manufacturer and among the top ten globally, today launched a range of commercial vehicles in Philippines.Tata Motors is making headway in the Philippines market through a distribution agreement with local partners Pilipinas Taj Autogroup, Inc., an important business conglomerate engaged in the local distribution of motor vehicles. 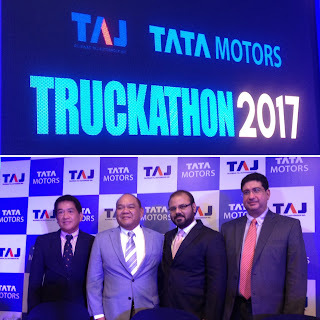 Through this partnership, Tata Motors will commence the supply of its commercial vehicle brands – the Tata Prima Range of Tractor Trailers and Tippers, the LPT range of Light, Medium and Heavy Trucks, SFC 407, and the Mini Trucks range of Ace and Super Ace. 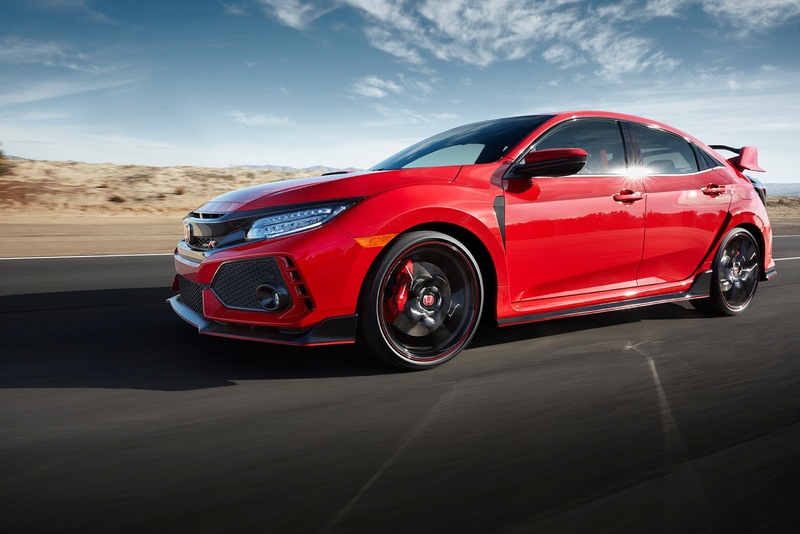 July 10, 2017 – Honda Cars Philippines, Inc. (HCPI), Honda’s automobile unit in the Philippines, is proud to announce the availability of the much anticipated All-New Civic Type R. This is the first–ever Civic Type R model to be sold locally. All Honda Car Dealerships will start accepting reservations starting July 11, 2017. 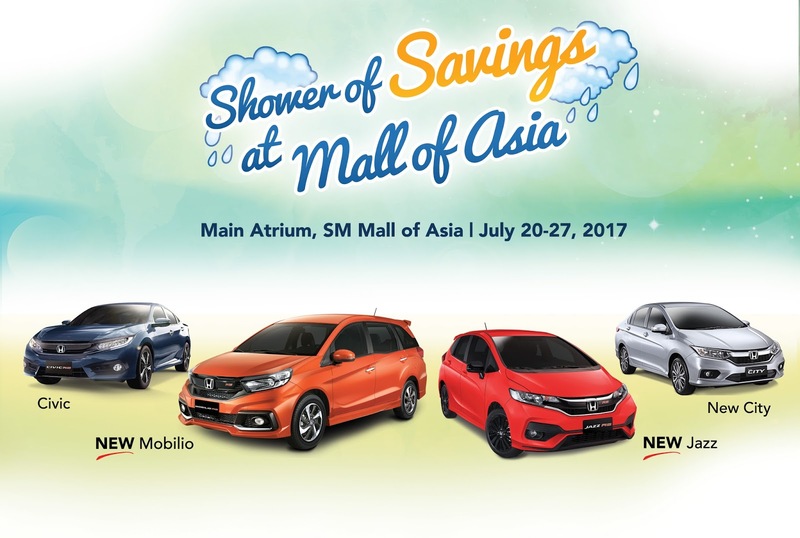 July 18, 2017 – Honda Cars Philippines, Inc. (HCPI), Honda’s Automobile unit in the Philippines, invites customers to visit and see Honda’s exciting line up of vehicles at Honda’s display event at the SM Mall of Asia Atrium starting July 20 to 27, 2017. 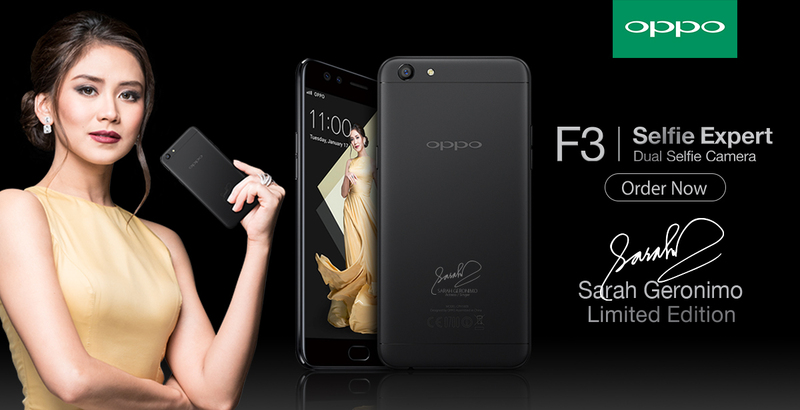 Manila, Philippines (July 12, 2017) — In celebration of Sarah Geronimo’s third year as an endorser of the Top 2 smartphone brand OPPO, the brand officially announces the Sarah Geronimo Limited Edition F3 smartphone composed of a special packaging box and Sarah’s signature at the back of the phone.